Simply put, laser dentistry is the practice of using highly focused light beams to alter or remove tissue or other organic material more effectively and precisely than traditional dental tools. 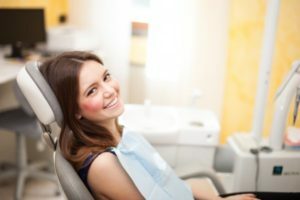 Technically, laser dentistry has been around since the mid-1990s, but now more dental practices are incorporating it into their practice to offer patients a more comfortable dental care experience. Laser dental tools come in two forms: soft tissue and hard tissue. Both versions offer their own unique uses. As the names imply, soft tissue lasers are more ideal for softer areas of the mouth, such as the gums or tongue. Hard tissue lasers are better suited for adjusting teeth and bone. What Treatments Can Laser Dentistry Perform? The next time you visit the dentist, it’s worth asking them about laser dentistry and the treatments that can benefit from it. Let’s start by breaking down the most common treatments soft and hard tissues utilize. Overall, laser dentistry is meant to replace many of the tools and provide a more comfortable experience for patients. You would think that lasers would cause more heat than traditional tools, but in reality they give off less heat because there is less friction in comparison to metal dental tools. This results in a pain-free experience for adults and kids alike. It also means little to no anesthesia is needed to perform treatments and sutures are often unnecessary. Furthermore, laser dentistry allows the dentist to retain more natural tooth, which she’ll always try to do when possible. Thanks to laser dentistry’s precision, the healing time is typically shorter and infections are less likely. This is because the laser acts as an instant sanitizer on the area being worked on. In conclusion, laser dentistry offers all the same functions that traditional tools offer but with greater precision, zero drilling, zero vibrations and a pain-free experience. Schedule an appointment today to experience it yourself! Dr. Sheryl Tandon earned her DDS degree from the University of Iowa College of Dentistry. One of her favorite aspects of working at the practice, other than her exceptional team members and fantastic patients, is the ability to utilize the most state-of-the-art dental technology out there. To learn more about her practice, you can contact her through her website.